IRVINE, Calif. – Spectrum Numismatics International, Inc., one of the world’s largest rare coin and currency dealers, announced today that it has promoted Andrew Glassman to President. "Andrew Glassman has been with Spectrum for over 18 years, during which time Spectrum has grown to an internationally recognized pre-eminent rare coin and currency dealer. Andrew has contributed to that success every step along the way. I am extremely pleased to announce his well-deserved promotion," said Greg Roberts, CEO and President of Escala Group, Inc., and CEO of Spectrum. "I have been involved in every aspect of the business at Spectrum from top to bottom," commented Andrew. "I am excited to take on this new challenge and to continue Spectrum’s growth and commitment to excellence. I am fortunate to work with a staff that is one of the finest in the industry." 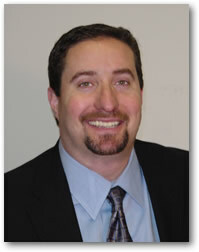 Andrew has served as Spectrum’s CFO and on the Spectrum Board of Directors. He graduated from California State University at Fullerton in 1989 with a Bachelor of Arts Degree in Accounting and completed his Certified Public Accountant requirements in 2003. He is a member of the Professional Numismatists Guild and the American Numismatic Association. Kevin Lipton of Kevin Lipton Rare Coins, Inc., stated, "I have worked with Andrew Glassman in all his various capacities for 18 years and have always enjoyed our first-rate business transactions. I learned rapidly that Andrew’s honesty and integrity are unparalleled. I am delighted to hear of his promotion." For additional information, contact Spectrum Numismatics International, Inc., 18061 Fitch, Irvine, CA 92614. Toll-free phone number 888.828.2646. My father left me some Brazilian currency from the 30’s and 40’s, much in what appears to be near perfect condition. I would like to dispose of it since I’m now retired and need the money. How can I best get it evaluated and possibly sold?